I have a problem with my strategy, the values registered in the variable in xval are not sent to IVAL, and groov does not visualize. The Charts stop. can you help me? Thank you. 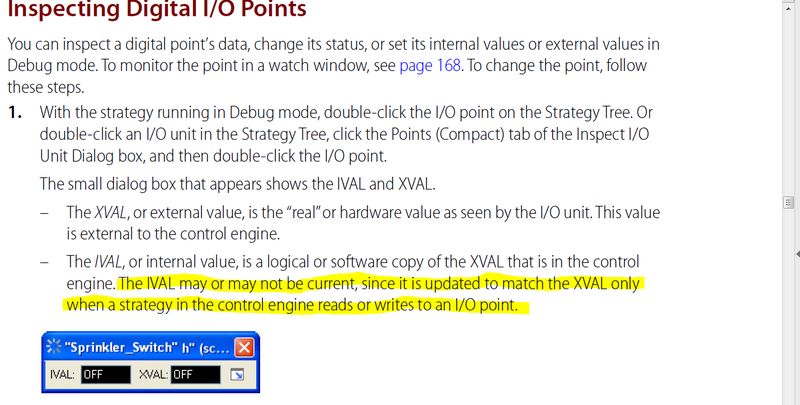 If I recall correctly values will not go from Xval to Ival unless the controller is running a process that reads them. When the controller strategy reads the value it moves from Xval to Ival. Did you stop the controller for a reason or is it not running part of the problem? The controller is not running part of the problem, since the charts are stopped. When the charts are stopped, the values ​​of the tags are not updated, therefore we do not visualize in the groov what is happening.